With the the Hero Business Club we can help you gain the edge in your industry, provide new ideas, thrash out strategies, examine new opportunities and much more. 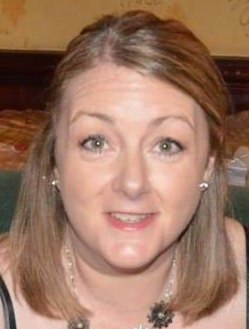 Our speaker Sue O’Brien is a community Fundraiser at NewLink Wales – a Substance Misuse Charity that tackles substance misuse through innovation. Sue has been a Community Fundraiser for 3 years, previously working for a Youth Homelessness charity. Substance misuse is an issue that carries stigma and generates great debate, with many different and strong opinions and perceptions. What people often underestimate and don’t understand are the complexities and causes of addiction. No-one wakes up one morning deciding to be an addict. Stopping is not a simple matter of willpower. Thousands of hard working, ordinary people of all ages, nationalities, religions and backgrounds turn to substances and alcohol every day. The reasons vary, but often it is down to physical or mental suffering. They think drugs and alcohol are the answer but very quickly they can become the problem. NewLink Wales creates a positive impact on the lives of their families, friends, work colleagues and communities. Cardiff Open Coffee is a FREE inclusive Business Networking for Club Members (£46 – 12 month membership) where everyone is welcome. Our Members range from Entrepreneurs, Decision Makers, Writers, Journalists, Artists, Business Mentors, Talented People Looking for New Career Opportunities and Graduates. At our events everyone is very friendly, approachable and they enjoy meeting people from all walks of life. 6.00 pm Welcome Reception, Art Exhibition. 6.45 pm Members Introduction, may be video recorded. 7.00 pm Business Club News. 7.55 pm Thanks and Open Floor Networking. All the video testimonials are available here. And all the photos from past events are available here.